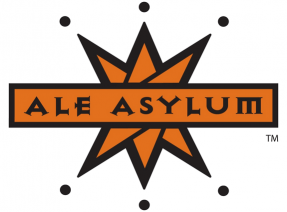 Ale Asylum started in Madison in 2006 and has expanded nicely; they now have a beautiful restaurant and tap room along Highway 113 on the road to Madison’s Dane County Airport, literally seconds north of where Highway 30 ends (close to U.S. 51 and U.S. 151, too!) The bar and dining room are open for lunch and dinner, and for late drinks and eats. Tours of the brewery inside the building are available Sundays, noon-5pm beginning on the hour. Hopalicious is Ale Asylum’s most well-known beer; Ambergeddon, Bedla! IPA, Madtown Nutbrown, Demento Session Pale Ale, and Unshadowed Hefeweizen are their brands consistently available; seasonals include Velveteen Habit, the Diablo Belga Belgian-style ale, a Belgian Abbey called Kink, the Gold Digger Blonde Ale, and plenty more. Ale Asylum is not only near the airport, but also near the Karben4 Brewery (which operates in Ale Asylum’s original location), the ALT Brewery (which specializes in gluten-free beers) and the Octopi/3rd Sign Brewery, which is right up Highway 113 in Waunakee. In 2015, they expanded into downtown Milwaukee with a tap room just off Old World Third Street, complete with views of the Milwaukee River.